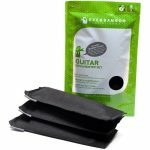 If your guitar is stored in an area that routinely registers over 60% relative humidity, you’ll need to use a dehumidifying product to keep it from becoming over-humidified. Bamboo charcoal is a 100% natural product that has been used as a dehumidifier in Asia for more than five centuries. It has a negative ionic charge that attracts excess moisture and odors from the surrounding atmosphere. This guitar dehumidifier set from Ever Bamboo includes three 50-gram pouches that last up to one year. 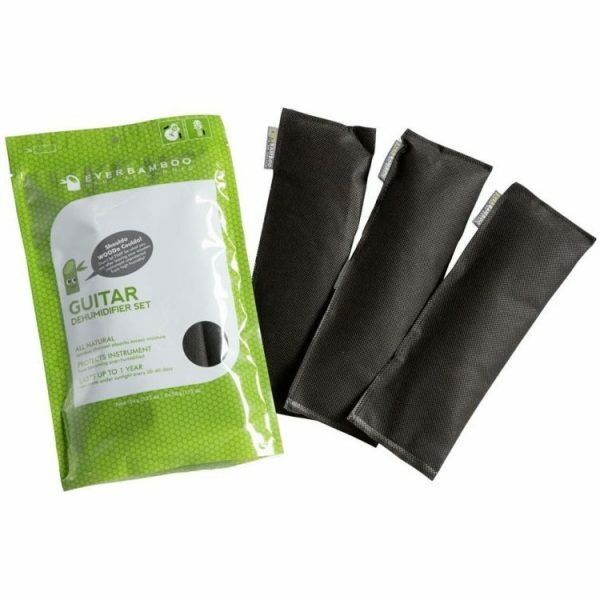 Taylor recommends using one set per guitar.